Sharia, free will, podcasts, Science360 and more! Anti-Sharia Laws spreading across America - An hysteria of distrusting the Constitution. Free will as a depletable resource - Not as a divine resource, but mental fatigue. Skeptical podcasts - A list of links to some of them, at least. 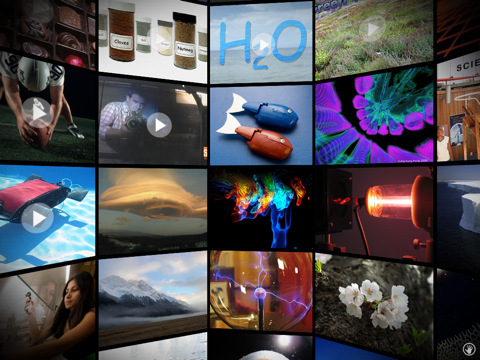 Science360 Knowledge Network — My pick this week is another collection of science videos. This collection is sponsored by The National Science Foundation as a part of their science news service. The National Science Foundation (NSF) has made improvements to the agency’s daily news service, Science360. These changes highlight the success of the news service over the past seven months and allows quick access to the latest information and news about scientific discoveries to news outlets and the public. Science360 is an up-to-date view of breaking science news from around the world. Various news formats are brought to subscribers daily including breaking news, audio and video selections, latest research published in journals and much more. Astronomy may well be the oldest science of all, seeking answers to questions such as: “Where did it all come from?” and “Are we alone?” But, today’s astronomers are focusing on phenomena our forbearers never imagined—planets orbiting other stars, for example; black holes the size of our solar system; galaxies being driven apart by invisible “dark energy”; ripples in the fabric of space and time; and of course the big bang, where time itself began. There is also an All Series menu that links to multiple video presentations. And all of videos are great, by the way. I wouldn’t be recommending the site if they weren’t. I mean really! So there you have it. Science, science and more science! You can thank me later if this pick is new to you. Maybe next week I’ll veer off again into the world of baloney again. I don’t know. I keep finding these great resources and it still thrills me that there are so many wonderful science sites and they are right at our fingertips! Wednesday: We started out discussing car engines and motorcycles. Dr. Mabuse also mentioned the funny story about how his bike’s license plate ended up on someone else’s bike. Cuneiformist also turned up talking about his good fortune, and Cuneiform work. There was the occasional bad pun, both about Cuneiform and song lyrics, then TAM and hotels got mentioned. Debates on Facebook aren’t as good as on a forum, for many reasons, but that won’t stop anti-vaxers whose emotional responses are illogical. Are human beings extinction proof? The Believing Brain: From Ghosts and Gods to Politics and Conspiracies — How We Construct Beliefs and Reinforce Them as Truths, by Michael Shermer. In this work synthesizing thirty years of research, psychologist, historian of science, and the world’s best-known skeptic Michael Shermer upends the traditional thinking about how humans form beliefs about the world. Simply put, beliefs come first and explanations for beliefs follow. The brain, Shermer argues, is a belief engine. From sensory data flowing in through the senses, the brain naturally begins to look for and find patterns, and then infuses those patterns with meaning. Our brains connect the dots of our world into meaningful patterns that explain why things happen, and these patterns become beliefs. Once beliefs are formed the brain begins to look for and find confirmatory evidence in support of those beliefs, which accelerates the process of reinforcing them, and round and round the process goes in a positive-feedback loop of belief confirmation. Shermer outlines the numerous cognitive tools our brains engage to reinforce our beliefs as truths. There were 7,693 daily visitors this week.